My 4-year-old son has been sick all week, probably with influenza (his doctor diagnosed it as influenza, but didn’t perform any specific tests) so I’ve got a little behind on my work,1 and today’s post is going to be a little short. I’m intrigued by an article in the latest Immunological Reviews, which I’ll probably post on later today or perhaps tomorrow, depending on how fast my cells are growing; if I need to split them, the blog comes second. I am often surprised with the unawareness that can be encountered in the scientific and medical community about the great extent of knowledge that has accumulated in tumor immunology. No.10. Tumors express antigens recognized by the immune system; many have been fully characterized. Graziano DF, Finn OJ. Tumor antigens and tumor antigen discovery. 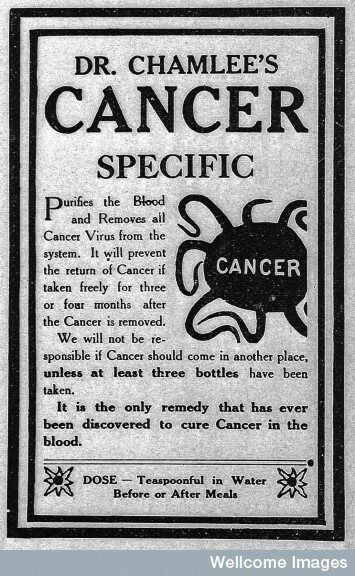 Cancer Treat Res 2005;123:89â€“111. No.9. Tumors are seen as dangerous by the immune system. Rock KL, Hearn A, Chen CJ, Shi Y. Natural endogenous adjuvants. Springer Semin Immunopathol 2005;26:231â€“246. One of my first posts here was about this. No.8. There is specific and effective immune surveillance of cancer. Dunn GP, Old LJ, Schreiber RD. The three Es of cancer immunoediting. Annu Rev Immunol 2004;22:329â€“360. I have several posts on this, including this one (specifically about the Dunn et al paper, in fact), and others here and here. Finn OJ. Immune response as a biomarker for cancer detection and a lot more. N Engl J Med 2005;353:1288â€“1290. I made a rather peripheral mention of this here. de Visser KE, Eichten A, Coussens LM. Paradoxical roles of the immune system during cancer development. Nat Rev Cancer 2006;6:24â€“37. This is the one I want to talk about. Rabinovich GA, Gabrilovich D, Sotomayor EM. Immunosuppressive strategies that are mediated by tumor cells. Annu Rev Immunol 2007;25:267â€“296. I’ve talked about immune evasion by tumors in several places: Here and here, for example. June CH. Adoptive T cell therapy for cancer in the clinic. J Clin Invest 2007;117:1466â€“1476. Cheson BD. Monoclonal antibody therapy for B-cell malignancies. Semin Oncol 2006;33 (Suppl.):S2â€“S14. Finn OJ. Cancer vaccines: between the idea and the reality. Nat Rev Immunol 2003;3:630â€“641. Emens LA, Jaffee EM. Leveraging the activity of tumor vaccines with cytotoxic chemotherapy. Cancer Res 2005;65:8059â€“8064. Lollini PL, Cavallo F, Nanni P, Forni G. Vaccines for tumour prevention. Nat Rev Cancer 2006;6:204â€“216. 26.